We specialize in helping nonprofit organizations build brand recognition, engage stakeholders and achieve organizational goals, including increased fundraising, client recruitment, building the volunteer base, successfully pushing through a new or revised public policy or project, and more. We firmly believe that effective communications and marketing do more than generate press clips, social media posts, and promotional materials — they move people to take action. To that end, our team members take the time to dive deep and learn about the issues that matter most to our clients and their stakeholders. Understanding these issues allows us to provide thoughtful, thorough and targeted communications services. 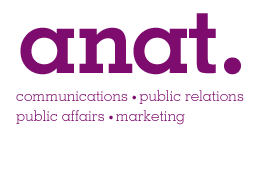 Our team is led by professionals with experience providing communications, public relations and marketing services. Additionally, we work with a designer, web programmer and videographer to provide clients with one-stop-shopping for all of their communications needs. We are certified in the City and State of New York as a Minority and Woman-Owned Business Enterprise (MWBE). The Girl Scouts of Greater New York appears on MetroFocus.